Small update to this post as Gneiss is now bottling this beer in 16.9 ounce bottles. They are a great deal at around $4 per bottle and available at most of the better bottle shops in Maine. 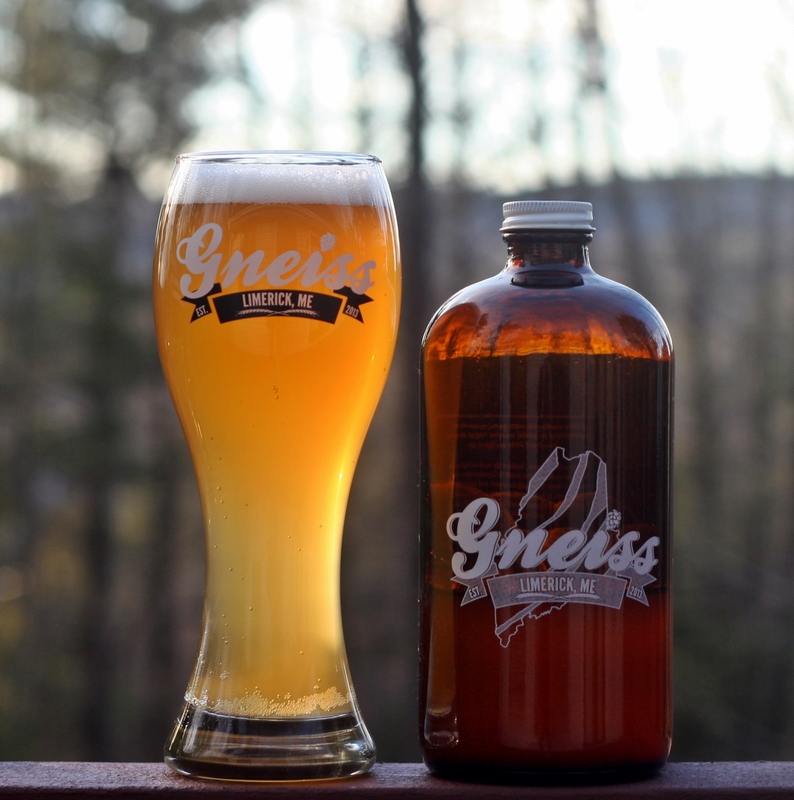 This is Gneiss Brewings flagship beer and it kind rolls off the tongue – Gneiss Weiss. This is a hefeweizen which is a style I drink a lot of during the summer months. It works in the winter too but at 4.8% ABV this will be a great beer for those warm Maine summers. Weiss looks very similar to the Au Nugget in the prior review but a little cloudier. Aroma has plenty of banana and lemon, very pleasant and inviting. Taste is excellent and extremely smooth. This is a good representation of the style and something you should try sooner rather than later. 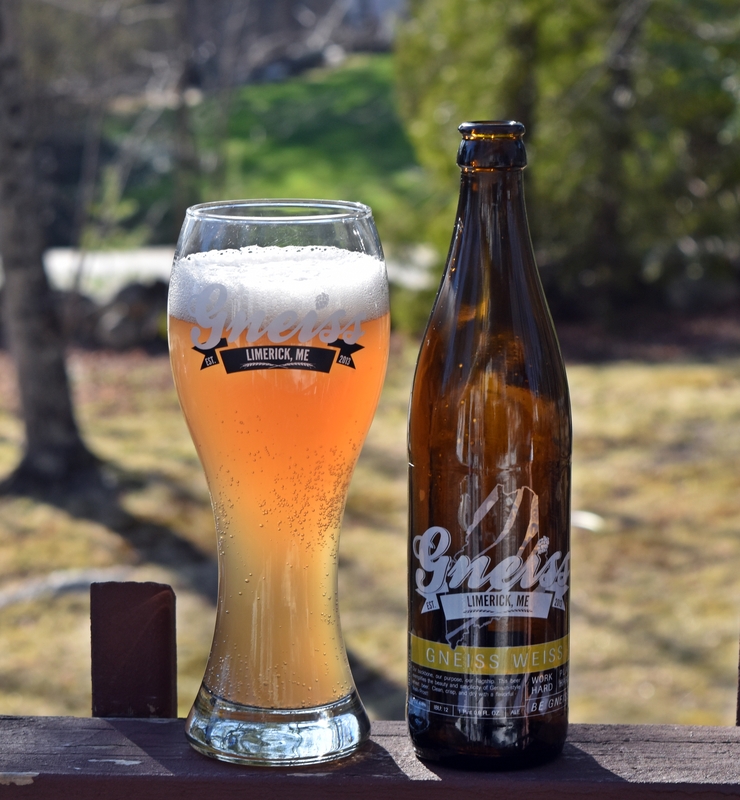 Overall I am really impressed with the first two offerings from Gneiss Brewing and I am confident Dustin will continue to brew great beer from his small operation in Limerick. Brewers Description: Gneiss Weiss is our flagship beer. This beer relies on a grain bill heavy on the wheat to bring forward a clean spiciness and creamy mouthfeel, without even a hint of cloying sweetness. We use American hops to help define the beer as a full flavored, easy drinking session beer.